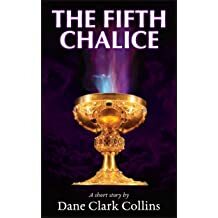 Dane Clark Collins is a writer of fantasy, science fiction, and the occasional nonfiction currently living in the Greater Philadelphia area. He is a lifelong student of philosophy, physics, and all manner of strange and esoteric nonsense, and brings all of this background into his writing. Dane has been a musician since he was given his first guitar at the age of 10, and some of his work can be found on his web site. He finds his own music quite enjoyable, as he is very narcissistic. 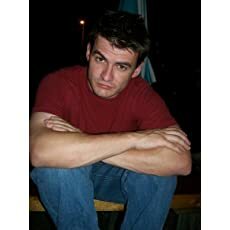 Besides that, he enjoys sushi, has three spoiled dogs, builds his own web sites, reads for two out of three hours of the day, plans to open a dog shelter, and many other things that his readers are dying to know. A decade ago, I worked on an imaginary soundtrack to an imaginary movie, set in a decimated jungle populated now by nothing but blackened boles, as far as the eye can see. A lone inhabitant wanders aimlessly through this wasteland. He is searching, but for nothing in particular…anything to break the monotony of this endless tract of moldering stumps. E. R. Eddison’s The Worm Ouroboros makes me wish I could be a novelist in 1922. This was a time, apparently, when one could publish a strange fantasy book written entirely in sixteenth century English, and people would want to read it. This book influenced many fantasy writers to come, including Tolkien, and it’s easy to see why. This story has been bouncing around my mind for years, but two Octobers ago, inspired by the anticipation of Halloween, I finally put words down. Now, the story is published. Description A story of personal transformation gone terribly wrong. 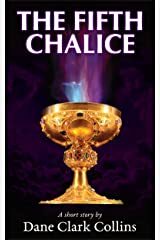 Five friends stare at five golden chalices filled with mysterious elixirs. As they prepare to drink, they do not know what to expect, but they know that everything will be different—and in this world, different can only mean better. 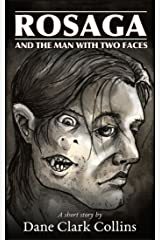 I’m pleased to announce that I have a new short story up on both SagaBorn.com and Amazon. 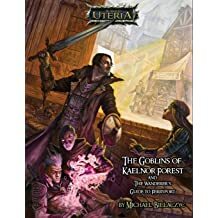 It is available in all major ebook formats for free at SagaBorn.com, or if you’d like to read it on your Kindle, you can get it for $0.99 on Amazon. 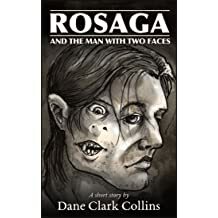 Book description A terrifying fantasy story from Dane Clark Collins, author of Crossroads of the Never. Recently, I spoke on a panel with several other authors where we attempted to dissect the process of creating antagonists with depth. At one point, as I spoke about the word “evil,” a fellow writer in the audience became so severely offended that she grew visibly agitated, began mumbling expletives, then stormed out of the room in protest. What did I say that was so offensive? I’ll try to paraphrase. Thanks to the support from fans of SagaBorn, The Dead Gulch has been funded, and has reached a special funding goal to include a short story written by me. What is The Dead Gulch? The Dead Gulch is a Pathfinder Roleplaying Game-compatible role playing adventure designed for 4 to 6 characters of 2nd level. 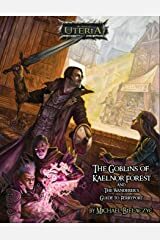 This adventure is part 2 of the Ferryport Adventures: Return of the Fey adventure path, set in the Westlands of the dark continent of Atheles. Here is the first man whose art I feared. Actually, that’s not entirely true…there had been a few horror novels with covers that made me afraid, but that had been a surface fear. The dread conjured by a Frazetta painting was something deeper; it was visceral. His work was the first to transport me to a mythical world—an ancient and primitive world, where the terror of the unknown lurked in every shadow, dangerous even for the mightiest of men. I just returned from MidSouthCon 33, where I was invited to be an author guest. Here is my experience from the show. MidSouthCon is Memphis is Dane’s first stop to promote his new book, Crossroads of the Never: Book 1. Don’t miss him on his panels. MidSouthCon is March 20-22, 2015 in Memphis, TN. Most of the crew from Lone Wanderer Entertainment will be in attendance as author and artist guests, including myself. 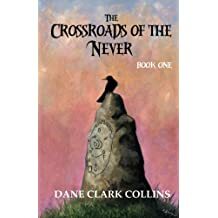 The first book in The Crossroads of the Never saga is now available in both paperback and Kindle eBook. Purchase through Sagaborn.com or Amazon. 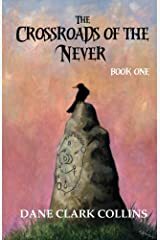 Order your copy now… I’m happy to announce that Crossroads of the Never: Book 1, my first book of fiction set in Atheles, is now available on both paperback and ebook through Sagaborn.com and Amazon. Click here to purchase the paperback through Sagaborn.com. The first book in the Crossroads of the Never saga is coming soon. The cover art by Michael Bielaczyc has just been unveiled! And so it begins… The first book in the new series, the Crossroads of the Never, has been completed. It is at the printer and the first proof is in the works. The book will become availabe in print as soon as it is ready. If you would like to be emailed updates, please sign up for the mailing list. I’m of the opinion that human beings are bolstered by positive beliefs. I’m also of the opinion that dogmatically held beliefs that attempt to cover all of reality are the greatest contributor to human suffering. So how do I reconcile these two positions? I attempt to find belief systems that are useful to my situation, but I keep those beliefs loose and flexible enough to change in response to my circumstances. It’s a difficult balance, but possible. The unboxing of a new Damien 6 guitar by Schecter with a Sustainiac pickup has led to inspiration for new music. Sustainiac pickup In the neck position is a Sustainiac pickup. Those switches you see near the tremolo do two things: switch the sustain on and off and switch that sustain between three varieties: standard, harmonic, and mixed. I attended Jordancon 6 (2014), the annual convention honoring the work of Robert Jordan (along, now, with other works of fantasy fiction). 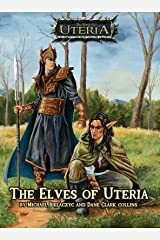 I had a panel to discuss the world of Uteria and we threw an incredibly fun launch party for the new book, The Elves of Uteria. Come visit me at the 6th annual Jordancon on April 11-13. The event will be held at the Doubletree Hotel in Roswell. 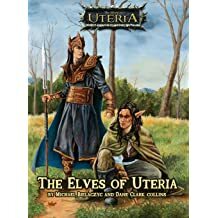 I will be joining Michael Bielaczyc of Aradani Studios/Aradani Costumes for the launch of our new book, The Elves of Uteria. We will be throwing a launch party that spans two suites and will offer free booze, because Mike knows how to throw a party! The book was cowritten by both Dane and Michael, and features Michael’s incredible paint work on the cover. New I Am the Phantom tracks include Daily Progress and Gypsy Vagabond, two mellow songs guaranteed to turn your mind to gelatinous ooze. I Am The Phantom is an extremely experimental hip hop (of sorts) collaboration between myself, Squaw Music (Daniel Labrache), and Ryan Dennler. This is one of three videos from the Transient Revival piece, featuring animation by Michael Bielaczyc and music by Dane Clark Collins. Watch a brilliant animation created by Michael Bielaczyc, using the song Curtains by Dane Clark Collins. Renowned fantasy artist Mike Bielaczyc (Aradani Studios, Dragonlance) recently invited me to participate in the creation of an art exhibit of ambitious magnitude. My part was to create a soundscape that would enhance the atmosphere of an already dark and eerie exploration into the experience of belief, awakening, fate, and free will. Michael Bielaczyc has created an ambitious work of art which will be on display on the 10th, and it is accompanied by sounds so beautifully ugly that I have to be there to hear them. I don’t know exactly what dates yet, and will post them when I know exactly, but I’ll be in Nashville the weekend of November 10th.